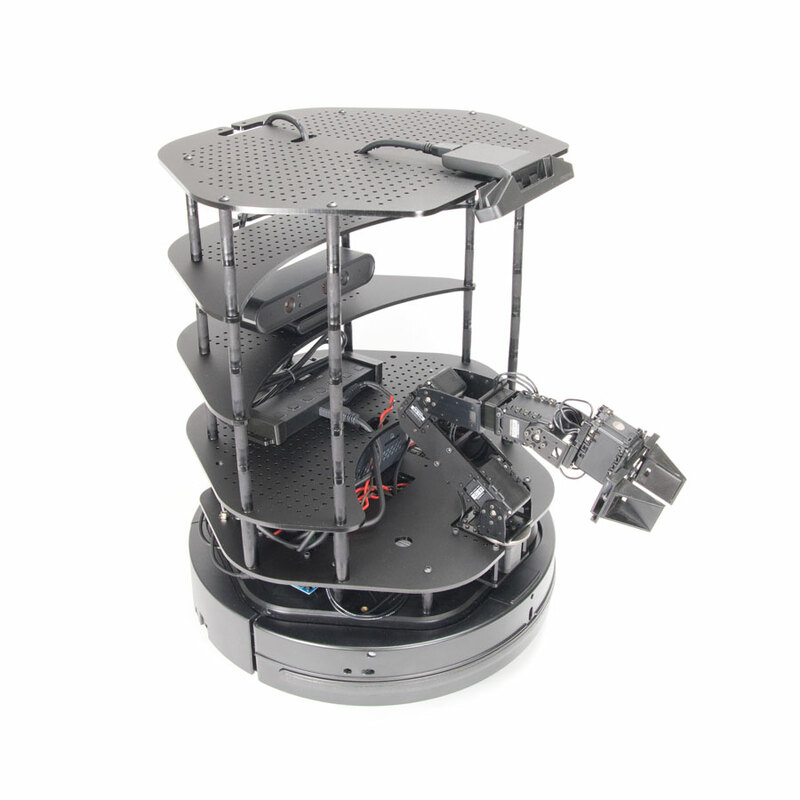 Interbotix Labs, in partnership the Open Source Robotics Foundation, is proud to announce the TurtleBot 2i Mobile Research Robot - a modular ROS-based robotics platform. The 2i improves upon previous iterations of the TurtleBot with a completely redesigned modular chassis and for the first time, native support of robotic arms. The TurtleBot 2i offers the Pincher MK3 4 DOF Robotic Arm as a fully supported standard option allowing the robot to interact with small objects in the real world, effectively transforming the TurtleBot into an extremely capable mobile manipulator. This new version is also accompanied by hands on tutorials and demos that showcase the robot's capabilities - enabling students, educators, researchers and developers to hit the ground running with a versatile open source ROS development platform. Our goal is to bring previously daunting technologies and fields of study such as autonomous navigation and robotic manipulation into the hands of innovators and developers in a much more approachable format. The demos and tutorials created for the 2i provide a hands-on tools for demonstrating how robots perceive and interact in the real world, focusing on real-world autonomous mobile robotics, automation technologies and object/environment manipulation. The TurtleBot 2i is powered by an Intel NUC BOXNUC6CAYH and features dual 3D camera configurations, using a dedicated long range Orbbec Astra for Navigation & Mapping, and the short range Intel RealSense camera SR300-Series as a dedicated Manipulation work space sensor.